Are you reading this as an interested by-stander? Someone who wonders what it is like on the ‘other side’? A student considering a career in business? Or a fully signed up card-carrying Business Member? We are a disparate bunch – the 1,076 Business Members in the Northern Society are spread over 71 towns and that’s before you slice and dice on business sector, main role or responsibility. However we are a significant proportion (32%) of the Northern Society and pay our subs – so how should we take our value from the Institute? This is not a local question, it is a matter of debate at national level and featured heavily at the recent Business Representatives’ Meeting at Chartered Accountants Hall. Initiatives are being formulised to improve the engagement between the Business Members, Local Societies and the Institute – who are in essence one and the same person. Key to these developments is feedback – so please ensure you do, to enable me, as your Business Representative, to represent your views at these national meetings. And what have we been doing for Business Members? Well (whilst I can take no credit whatsoever) the Business Confidence Monitor presentations continue to be a rich source of information, analysis and networking across a wide range of business leaders and professions and I recommend them highly. In addition we have continued to run the FD Forum and have covered employment law, cyber crime and business improvement – I said we were disparate! 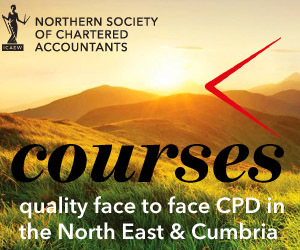 2018 will see another set of topics – including intellectual property rights – and if you are interested in joining us for these events, or have any ideas for future subjects then please contact either myself Adam Langman alangman@metnor.co.uk or Joanne Lucking joanne.lucking@icaew.com.